1965 It all started on September 18, 1965. The crowd at the Brooklyn Academy of Music waited at the edge of their seats, screaming in anticipation. They clapped their hands, stomped their feet and yelled as loud as their lungs would allow for the blond superstar from California with arms too big to believe. The man they were waiting for was the legendary Larry Scott, and the reason why they were waiting was because this was the night of Joe Weider’s greatest creation. This was the night of the first ever Mr. Olympia contest. Larry Scott was the bodybuilding superstar of his day, but by 1963 there were no more world to conquer. Scott had already won the Mr. America and Mr. Universe titles; there was little left for him to prove. Besides proving anything, Scott already had a houseful of trophies and plaques and felt it was time to move on from bodybuilding and make some money. 1966 Larry Scott indeed won the first Mr. Olympia contest that hot September night in 1965 and repeated as Mr. Olympia again in 1966. He then announced his retirement and the 1967 crown was up for grabs. 1967, 1968 In 1967, Sergio Oliva (commonly known as “The Myth”) won the third Mr. Olympia contest in overpowering fashion. People wondered how much better Sergio could get. But better he was! In fact, he was so much better that he won the 1968 Mr. Olympia unopposed. You know true greatness when no one dares to challenge. 1969 Nevertheless, the greatest challenge to Sergio was waiting in the wings and 1969 commenced the greatest rivalry in the history of bodybuilding. Oliva was challenged by a young Austrian named Arnold Schwarzenegger. In a close battle, Sergio came out on top in 1969. He was now Mr. Olympia three years in a row, but Arnold promised that Sergio would never defeat him again. 1970 Both men trained hard for the following year and in September of 1970, Arnold edged out Sergio to become the third man to hold the Mr. Olympia title. He’d said he would hold the title until he retired and that he would never be beaten again. 1971 Arnold took the title unopposed in 1971. For the first time, the show was held outside of New York . The Mr. Olympia contest was held in Paris the same day the NABBA Universe was being held in London. Arnold, with his loyalty 100% behind the IFBB, competed in the Mr. Olympia while other great champions of that year chose to avoid Arnold and compete in the NABBA competition. 1972 , the Olympia moved to Essen, Germany, where it hosted another epic battle between Sergio and Arnold. Even today, more than 20 years later, people still argue over who should have won. The decision was made by seven judges and, by a four-to-three vote, Arnold held on to his Mr. Olympia title. 1973, the contest moved back to New York, and the Big Apple saw Arnold take the title for the fourth consecutive year with a victory over Franco Columbu and Serge Nubret. Most people felt it was an easy win for Arnold, but a huge challenge awaited him for the following year – the emergence of Lou Ferrigno on the pro scene. 1974 Standing 6″5″ and weighing 270 pounds, Lou was the largest competitor that Arnold had ever faced. The show was held in New York at the Felt Forum in Madison Square Garden. Arnold again showed his dominance and won the title for a fifth time, but rumors started to circulate that he was thinking of retiring. 1975 The Mr. Olympia moved to South Africa in 1975, forever preserved on film in “Pumping Iron”. Most people close to Arnold feel the only reason he competed in 1975 was because the contest was being filmed and it could possibly aid in kicking off his film career. Arnold won the contest easily and immediately announced his retirement. 1976, the contest moved to Columbus, Ohio, with Arnold serving as promoter along with Jim Lorimer. Franco Columbu finally won the Mr. Olympia title after trying for more than five years. It was not an easy victor, for he won by only an eyelash over Frank Zane. 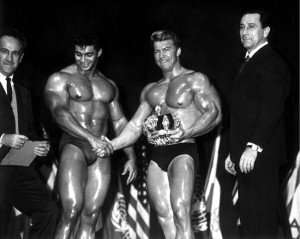 After the contest, Columbu announced his retirement while Zane immediately started training for the next year. 1977 The next year, 1977, turned out to be the year of Zane. Frank has promoted himself that way for the 12 months leading up to the contest. He came to Columbus ripped and ready. He felt that no one could match his muscle density and he was right. 1978 Almost like an instant replay, the 1978 show was again held in Columbus and Frank Zane walked away with the title. Frank proved that the Mr. Olympia winner did not necessarily have to be big, as what wins is quality. 1979, Zane made it three in a row. Could he go on forever? Would he challenge Arnold ‘s record of six Olympias in a row? Zane seemed unbeatable, but 1980 would prove to be the most controversial Olympia in history. 1980, the contest was held in Australia . The field of competitors was the largest to date (16), but it was the comeback of one that made the story. Many in the sport had seen Arnold training for weeks before the 1980 Mr. Olympia, but most felt in was for a movie. When Arnold boarded the plane for Australia with the other competitors, they thought he was going to do the TV commentary. Even at the contestants meeting, they though he was there because he was an IFBB promoter and official. It dawned on them that he was there to compete when his name was called and he selected a competitor number. Arnold won the Mr. Olympia title for a seventh time in 1980, but to this day, many people still wonder why he came back. Some observers at the time said the judging, as well as the location, was “down under”. 1981, Arnold switched back to being a promoter with Jim Lorimer and the contest was again held in Columbus. Not to be outdone by his famous friend, Franco Columbu staged a comeback himself and won the 1981 title in a tight contest of 16 contestants. 1982, London, England, hosted the show for the first time. Chris Dickerson won the title after finishing second the two previous years. After winning, Dickerson announced his retirement while onstage. 1983 The contest returned to Germany in 1983, but this time to Munich, where it was won by the Lion of Lebanon, Samir Bannout. 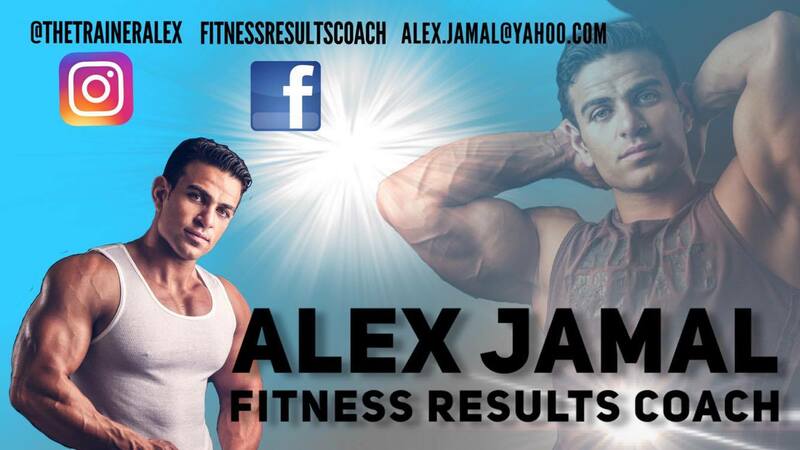 He fought off tough challenges from Mohammed Makkawy from Egypt and newcomer Lee Haney from the USA . Samir had what it took to be a dominant champion, but no one foresaw the determination of Haney. 1984, the even moved back to New York City’s Felt Forum, where it has the highest attendance for the finals (5,000), the highest attendance for prejudging (4,000) and the largest amount of total prize money ($100,000) for any Olympia up to that time. It also featured the largest Mr. Olympia winner, Lee Haney. Haney won weighing 247 pounds at a height of 5’11”. He was big, he was massive and he was cut. Also, he was unbeatable. 1985, the show was held in Belgium for the first time. Haney was dominant again, fishing off the challenges of Albert Beckles and Rich Gaspari. It was now two and counting for Lee. Many people feel that the Lee Haney onstage in 1986 rendition in Columbus may have been the greatest Mr. Olympia ever. Lee took his third straight crown and began setting his sights on Arnold ‘s record. 1987, the Mr. Olympia contest moved to Sweden, but the first place result was the same. Haney was head and shoulders above all the others. He had now won four in a row and Arnold ‘s record was definitely within his reach. 1988 In 1988, Los Angeles was the host city of the Olympia . The Universal Amphitheater was jammed by 6,000 people who came to see if Lee Haney could continue in his quest of becoming the greatest Mr. Olympia ever. With prize money at its highest level, $150,000, Haney again won easily, making it five straight times. For the third year in a row, Rich Gaspari placed second. 1989 The next year brought the Mr. Olympia to Rimini, Italy, on the beautiful Adriatic coast. This would prove to be Haney’s toughest defense as he has to fight of the challenges of Lee Labrada and Vince Taylor. For the first time, people doubted Haney’s dominance and many people said that he was lucky to win, but win he did, and in doing so he tied Arnold ‘s record of six consecutive Mr. Olympia victories. 1990, 4,400 people packed Chicago ‘s Arie Crown Theater. Prize money hit $200,000 for the first time as Haney tried to make in seven in a row. If 1989 was tough for Haney, 1990 was the year he almost lost. After two rounds, he was behind by two points, but he rallied in the posing round and posedown to best Lee Labrada and Shawn Ray. Haney now had seven consecutive Mr. Olympia titles. 1991 Orlando, Florida, was the site of the 1991 Mr. Olympia . Haney was going for eight in a row, but for the first time he was up against a man who was the same height (5’11”) and weight (245 pounds) in Dorian Yates, the Beast from Britain . Four points separated them after two rounds, but Haney pulled away in rounds three and four to seize his eighth championship in a row. 1992, the Mr. Olympia contest moved to Helsinki, Finland. A new Mr. Olympia would be crowned that year because Lee Haney had decided to retire after a record setting eight consecutive victories. The contest was close after the first round between U.S. National Champion of 1991, Kevin Levrone, and the 1991 Mr. Olympia runner up, Dorian Yates. But after the first round, Yates started pulling away and won in convincing fashion. 1993 Nothing could stop the amazing Yates in 1993 as he rocketed the scales at a record 257 pounds in Atlanta. Even runner-up Flex Wheeler called him “untouchable”. Yates certainly seemed set for a long reign in the manner of other great Mr. Olympias. 1994 However, the Brit endured a horrendous year in 1994. In early March, he severely damaged his left rotator cuff, and then later on the month, he tore his left quad. He battled his way through, but with the Olympia less then nine weeks away, he tore his left biceps. Displaying true blood and guys, even that injury could not end Yates’ Olympia dream. He duly arrived in Atlanta to take his third Sandow statuette, but questions were raised as to what was previously thought to be his invincibility. 1995 If doubts were raised about Yates’s reign he didn’t hear, or head, them. He returned to Atlanta in 1995 to score a straight firsts victory in what many rate his best ever form. 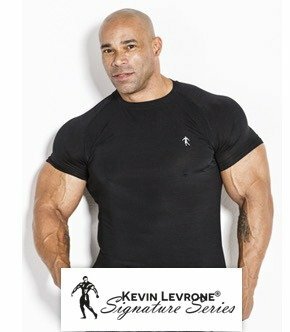 Kevin Levrone hulked into second place a new threat emerged in his spot in the 270 pound shape of Nasser El Sonbaty. 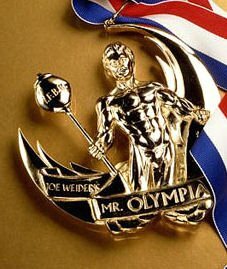 Not that Yates was the only Mr. O onstage that night, as in a unique ceremony, for the first time ever, all nine men who have so far won the Olympia crown assembled onstage to pay homage to the contest’s creator, Joe Weider. 1996, after a three-year tenure, the Olympia left Atlanta and moved to Chicago . In the Windy City, Yates, more streamlined that we’ve ever seen him, cruised to victory, closely followed by Shawn Ray and Kevin Levrone. It was the Brit’s fifth victory, and, as in 1994, doubts about his invincibility began to surface. 1997, the Mr. Olympia road show arrived in Long Beach to celebrate the 33rd rendition of bodybuilding’s ultimate contest. 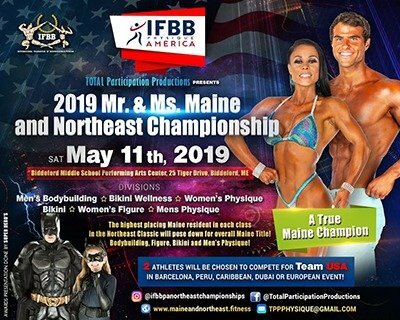 Total prize money was $285,000, first place was worth $110,000, and the bodybuilders are recognized as professional athletes in the truest sense of the world. Dorian Yates was now going for six Olympia titles in a row. Could he make it six in a row? Would he make a run at Haney’s record of eight in a row? It was a hard fought contest. 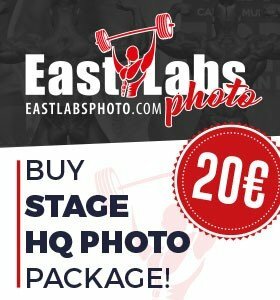 Nasser El Sonbaty came in at his best condition to date and pushed Dorian hard, but in the end, once again, in a very close race, Dorian succeeded for the sixth time as Mr. Olympia. Some felt that Nasser was better, and had been cheated out of a victory! With Dorian announcing moments after winning the contest that he would be back to get a seventh title in 1998, it set up an interesting confrontation. What most people did not know is that Dorian had suffered a torn triceps a few months before the show, and had said nothing about it and competed. 1998 now arrived, and Dorian had decided, after he had surgery to repair the torn triceps, that, due to lingering injuries, not to compete in this year’s Mr. Olympia in New York and to retire. With the great Yates done, that meant a new Mr. Olympia would be crowned in New York on October 10, 1998 . This would be one exciting show, with a guaranteed new winner! The Mr. Olympia contest, which only Joe Weider had the imagination to create, is now firmly established as bodybuilding’s show of shows. From intense competition, Ronnie Coleman came from out of nowhere for a dramatic win. With Flex Wheeler and Ronnie Coleman competing for the top prize, a new king was elected. Ronnie Coleman, with his massive back and freaky posture, became the latest Mr. Olympia. His fellow competitors sportingly congratulated the cop from Texas on his narrow victory, but privately they knew they had blown an opportunity to go down in history. Afterward, debate raged whether Coleman’s victory was a one time affair, or the beginning of a new Mr. O dynasty. Not since Samir Bannout in 1983 had there been a one year Mr. Olympia. Haney has won eight in a row, Yates six. Would Coleman flash and fizzle or solidify his grip on power? 1999 Las Vegas, Nevada, USA: The answer came in Las Vegas, at the ornate Mandalay Bay Resort & Casino on the Las Vegas strip on October 23, 1999 . The venue itself was completely sold out! There, 17 warriors took the stage, with Coleman and Flex Wheeler locked in a close battle. Wheeler had done his homework, but the reigning Mr. Olympia would leave no doubters this night. Chris Cormier placed 3rd, with his best physique ever at this show, and when Ronnie was called the winner; Flex turned his back on the judges, and lifted his finger saying he was #1. But Ronnie proved to the world that he is the Mr. Olympia king! Ronnie Coleman was even bigger than he had been the previous year, and his sparkling condition held throughout. He won his second consecutive title. 2000 Las Vegas, Nevada, USA: On October 21, 2000, the Mandalay Bay Resort & Casino again played host as Coleman took another step toward placing his name among the greatest of them all by winning his 3rd consecutive Mr. Olympia. Challenges came from Flex Wheeler and Kevin Levrone, but incredibly, Ronnie was even bigger then he was in the past Mr. Olympia. Ronnie was untouchable. 2001 Las Vegas, Nevada, USA: On October 27, 2001, Jay Cutler came from out of nowhere to capture the first two rounds of the Mr. Olympia, and gave Ronnie Coleman one of his biggest scares of his life, and one of the most exciting Olympia ‘s ever! During the evening show, Ronnie Coleman won both rounds, and beat Jay Cutler by an extremely close score, by six points. With some fans swearing that Jay should have won the show, and a press conference two days before that was one of the most exciting in years, it was an incredible year! 2002 Las Vegas, Nevada, USA: On October 19, 2002, Ronnie Coleman won the show, but controversy erupted again as Kevin Levrone won both the evening rounds, while Gunter Schlierkamp came from out of nowhere to become one of the crowd favorites of the night. Another exciting contest. Ronnie prevailed … but just barely. What set this Olympia apart from most others in recent history was the spectator response to German gentle-giant Gunter Schlierkamp. Gunter had captured the hearts and minds of the Mr. Olympia audience and seemed on the verge of capturing the title itself as the Champ appeared vulnerable against a much bigger and harder competitor. Gunter had never looked better and he seemed to have unlocked the secret to finally realizing his incredible potential. Rarely has a competitor received so much love from an audience as Gunter did the evening of October 2002, with an unprecedented standing ovation from an incredibly appreciative audience. 2003 Las Vegas, Nevada, USA: On October 25, 2003, there was no doubt that Ronnie Coleman was the clear-cut winner. He looked inhuman. He looked awesome. Three months before the Olympia, the talk was that this Olympia would be the greatest ever, with Gunter Schlierkamp, Chris Cormier and Jay Cutler having a good chance of taking away the title from Ronnie. It didn’t happen. A few days before the big show, Chris Cormier pulled out and Gunter faded into 5th place. The night was Ronnie’s. Whatever doubt people had was dispelled as soon as Ronnie hit the stage. He was in his best shape ever, at 39 years old. 2004 Las Vegas, Nevada, USA: The headlines read “King Ronnie crowned by the Governator!” On October 30, 2004, California Governor Arnold Schwarzenegger walked onto the Olympia stage holding the Sandow trophy and presented it to Ronnie Coleman for tying his record of 7 wins. Ronnie Coleman looked dominant and inspiring; a solid 1st-place across the board. Like last year, he was unbeatable. Second went to Jay Cutler, and third went to Gustavo Badell. 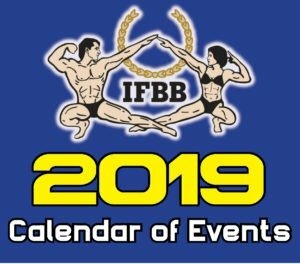 This would be the year that American Media Inc, Weider Publications and the IFBB teamed up to promote the Olympia Weekend, raising the total prize money to $540,000. This would also be the year of the controversial “Challenge Round”, which many opined the most entertaining addition to the Mr. Olympia contest in years; albeit, not without some flaws that will need correcting if it resurfaces in 2005. 2005 Las Vegas, Nevada, USA : For the first time since Ronnie Coleman won the Sandow in 1998, a competitor caught him from behind. That man was Jay Cutler, and whenever the two went mano-a-mano in a back pose, it was evident how far Cutler had come in his development. In a feat many thought would never happen, Coleman, he of the freaky mass and stunning detail in his lats, mid-back and traps, was far from a shoo-in on this pose. However, in the end, even that wasn’t enough to stop the reign of Coleman, who, on October 15, 2005, made it eight in a row, tying him with Lee Haney for the Olympia record. And, in a repeat of last year, second went to Jay Cutler and third went to Gustavo Badell. California Governor Arnold Schwarzenegger stepped onstage with Joe and Ben Weider and received a standing ovation from the capacity crowd onhand to celebrate the 40th anniversary of the Mr. Olympia. 2006 September 30, 2006 is a day that will live in bodybuilding lore forever. A capacity crowd at the Orleans Arena in Las Vegas bore witness to history, but it was not the history many had expected. Ronnie Coleman, going for his record-breaking ninth Sandow trophy, instead lost to four-time runner-up Jay Cutler, and by a convincing margin by bodybuilding standards, 22 to 38 (lowest score wins). In fact, Cutler won all four rounds of the show. Although Coleman was losing after the prejudging, the champ did not go down without a fight. In arguably the best posing routine ever seen on an Olympia stage, Coleman had world-famous boxing announcer Bruce Buffer step out on stage to announce him – Ronnie then came down through the crowd to a raucous ovation. After ducking backstage, a few moments later he reappeared in a Moses costume, long white beard and all. But in the end, a slightly better physique beat the better showman on this night, as Cutler’s extra 10 pounds of size and sharp improvements finally put him over the top. For the first time in nearly a decade, we head into the 2007 Mr. Olympia with a new defending champion. Jay Cutler overcame the odds in defeating the already legendary Ronnie Coleman, who returns for another attempt at record breaking number nine. “Jay didn’t beat me. He’s just holding the Sandow for me until I take it back, which I will come September,” promises Ronnie. But Jay’s not looking to relinquish his crown anytime soon. “I worked too long and too hard for this, it’s mine and I’m keeping it,” says a determined Cutler. This year, he’ll have to fight off not only a rejuvenated Ronnie Coleman, but a very hungry Victor Martinez, finally realizing his true potential as a premier bodybuilder. Ronnie, Victor, Gustavo Badell, and Melvin Anthony, all of whom know that the first title defense will surely be the hardest will bring their best game to overthrow Jay’s hopes of starting his own dynasty. 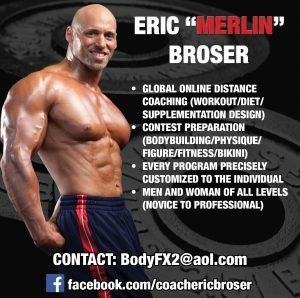 2007 Mr. Olympia was viewed by many as a “less-than-stellar performance” by Jay Cutler who, after the prejudging, admitted he was “a little off”. At the end of rounds 1 and 2 [symmetry and muscularity], the official scorecard had Jay ahead of Victor Martinez by only one point (although many had Jay as low as fourth or fifth, there being no doubt in their minds that Jay was as smooth as Victor was sharp). A day later at the finals, Martinez took round 3 [posing routines] by a point over Jay and the two were now tied going into round 4 [mandatory poses and posedown]. 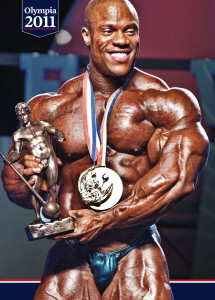 Jay won this final round [and the contest] by 3 points over Victor and became a multi-Olympia winner on the same night as 8-time Olympia champion, Ronnie Coleman, made his final bow on the Mr. O stage, finishing fourth and getting several standing ovations from the sold-out Orleans Arena crowd. 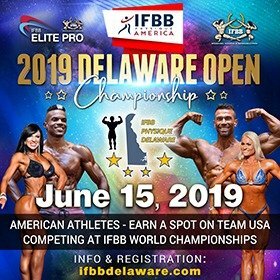 In third place was Dexter Jackson, a validation for “The Blade” that he is still a force to be reckoned with, as he beat out Coleman, a hard-charging Dennis Wolf in fifth, and Marvelous Melvin Anthony in sixth. Perhaps no one made a bigger stride in this contest than Wolf. The German was a huge crowd favorite, and showed every ounce of his future Mr. Olympia potential. 2008 Late on Saturday evening, September 27, at the Orlean Arena, Las Vegas, and with the placings of the 17 other competitors participating in the 2008 Mr. Olympia already decided, the two men still awaiting their fate walked to center stage. One who had been there many times before, and one who until this year never imagined he would. And in the end, after 10 years and 47 contests, Dexter Jackson finally rose to the top of the sport by toppling two-time and reigning champion Jay Cutler on the way to the biggest win of his career. Although the 235-pound Jackson gave up roughly 30 pounds to Cutler at the Friday prejudging, Jackson’s superior conditioning and aesthetics were rewarded over Cutler’s sheer size. On the final scorecards, the two were separated by seven points. Although the Jackson-Cutler matchup grabbed the headlines, it was not the only story line that developed over the two-day contest. Nearly each of the top eight hit the mark, making it one of the most competitive Olympias in recent memory. 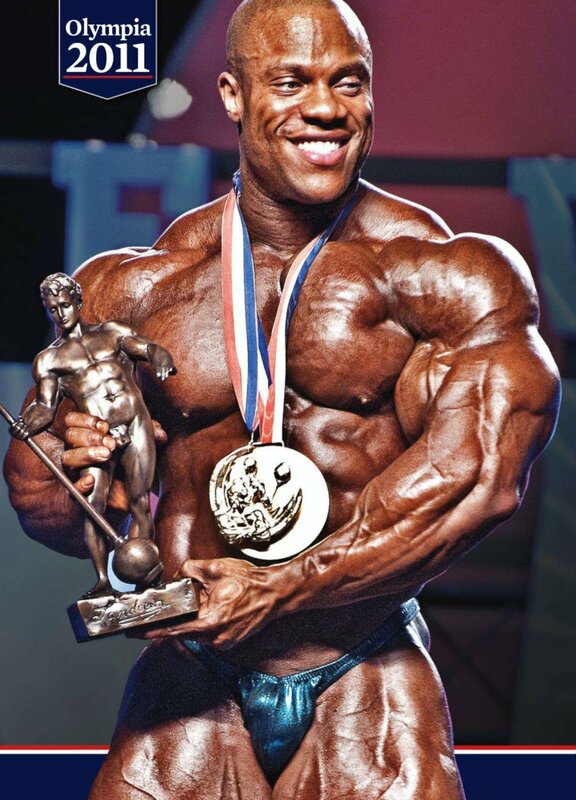 And, standing at the forefront of that pack was Olympia rookie Phil Heath. Heath established himself – for now – as the best of the new breed. The 28-year-old finished third – the highest finish for an Olympia rookie since Flex Wheeler placed second to Dorian Yates in 1993. Dennis Wolf, who entered the contest being mentioned by some as the main threat to Cutler’s three-peat, did not make the impact he was expected to. Despite finishing fourth, the German lacked both the conditioning and – incredibly – the overwhelming size he displayed when bursting onto the scene with his fifth-place finish a year ago. Toney Freeman’s fifth-place finish was greeted with the loudest boos from the audience. Freeman managed to at least match his conditioning and size from the 2007 Ironman, widely regarded as his best-ever showing. Melvin Anthony made the final posedown for the third consecutive year, placing sixth for the second straight Olympia. 2009 He wanted this one – bad. Last year, when Jay Cutler lost the Sandow to Dexter Jackson, it seemed that the rumors of his inability to dial it in for the big show – Cutler barely eked out a victory over Victor Martinez in 2007 – might be true after all. Twice now, he had failed to peak on the one night when a champion is expected to bring no less than his best. Increasing the odds of Cutler never regaining the top spot was the long list of former Mr. Olympia’s who lost the Sandow and failed to win it back. Until now. Maybe it took losing what he already had to push Cutler further than even he thought possible, because on Saturday, September 26 at the Orleans Arena in Las Vegas, Nevada, Cutler beat the odds – again – to become Joe Weider’s 2009 Mr. Olympia, the first man in the history of the sport to reclaim the title. Big, hard and dry with the sickest front quads in the show, Cutler brought his best physique since winning the Olympia in 2006 (maybe even surpassing his 2001 Olympia form, where he finished runner-up to Ronnie Coleman) with superior size and crisp detail from every angle. They say shows are won from the back and it was certainly the case here as he sported striated glutes and a tight lower back, that, coupled with his width and thickness, shut the lights on the competition. Now tying Sergio Oliva and Frank Zane as a three-time Mr. Olympia, Cutler has succeeded where so many others have failed. The biggest surprise of the show was fan favorite Branch Warren in second. Warren was bigger than ever with the same level of grainy hardness he displayed earlier in the year at the Arnold Classic. 2010 In a dramatic decision that had the capacity crowd at the Orleans Arena in Las Vegas rocking and roaring, Jay Cutler was announced the winner of the 2010 Mr. Olympia. The win marked Iron Jay’s fourth in five years. Throughout the weekend speculation abounded that the contest would come down to Cutler and Phil Heath, with experts and fans alike being nearly equally divided as to who would prevail. In the end it was Jay’s mass that trumped Phil’s classical lines. Taking third was a highly impressive Branch Warren, who slipped a notch from his runner-up placing of last year. The Texas Tornado squeaked by a near-peak form Dexter Jackson, who also fell one placing from his third place spot of last year. In what has to be considered a victory of sorts, Dennis Wolf rose from a DNP last year to fifth place this, and rounding out the top six was the contest’s dark horse, Ronny Rockel. Seventh place went to Kai Greene, who was noticeably off from his best condition. Victor Martinez came back from a knee injury to take eighth (accompanied by the loudest boos of the evening). Toney Freeman finished in ninth and Hidetada Yamagishi took tenth. In addition to the competitive history made in Vegas tonight, 11 of the 12 Mr. Olympia winners (Arnold Schwarzenegger being the exception) took the stage along with Mr. Olympia founder Joe Weider in celebration of the contest’s 45th anniversary. 2011 “Your best is good enough!” a voice bellows from the audience at the Mr. Olympia press conference after Phil Heath speaks. Cut to 34 hours later, and Heath is standing at center stage shoulder to shoulder with Jay Cutler – his close friend, his mentor, the four-time and reigning Mr. O – and before their final pose, Heath claps his hands, savoring the moment he dreamt about for a decade, and grins that Gift grin as he winds up his most muscular, and any lingering doubts evaporate as he shows everyone – judges, journalists, fans and critics – in Orleans Arena and the bodybuilding world outside that this is his time, this is his stage, this will soon be his title. His best is good enough. He will be number 13. As the first 8 awards are handed out, Heath and Cutler, side by side, talk, expressing sentiments that only they hear but which you can now know. Heath: “Thanks for never letting our friendship get messed up with this whole industry.” Smiling, Cutler nods. “You’re gonna be the king now. Are you ready?” Heath: “Yeah, I’m ready, because you showed me how to do this.” Cutler: “Wait for it, because it’s coming. You’re going to be king of the bodybuilding world.” Ever present of image and wary of cliches, the champ in the final minutes of his reign, adds, “And don’t fall to your knees.” Heath laughs. Andy then they wait, the king for the past two years and four of the last five, and the king for the next year and perhaps beyond. They wait as emcee Cicherillo milks the tension. And when, finally, at 10:05 pm PST, September 17, 2011, he hears his name, Heath’s knees buckle and he shields his eyes and doubles over, but he does not fall to the stage. 2012 Phil Heath earned his second Sandow Olympia trophy in a row, continuing the tradition of consecutive Mr. Olympia title earners. Phil Health had to fight of a inform Kai Greene, but Heath’s perfect symmetry won him the title. Branch Warren returned following last year’s quad injury. Evan Centopani made his debut on the Olympia stage following last year’s decision to skip the event. There had been pre-contest speculation that Abbaspour and Smalls might not compete, but both showed up only to land at the bottom of the pack. Jay Cutler vows to return at the 2013 Mr Olympia. 2013 Phil Heath went on to win his third Mr. Olympia convincingly . Jay Cutler made his comeback to place sixth. Kai Greene placed second while Dennis Wolf’s hard work paid off as he placed third. In 2014 Phil Heath defended his title for the fourth time. Kai Greene placed second while Shawn Rhoden finished third.